On passover pies and some baking gospel. It all began saturday. I was babysitting for a family I’ve worked for before. Babysitting is a great gig–good pay, in cash, and (depending on how pleasant the family is) you get dinner out of it too. Sure, usually it’s the other half of the grilled cheese the kid wanted but didn’t end up eating, but still. 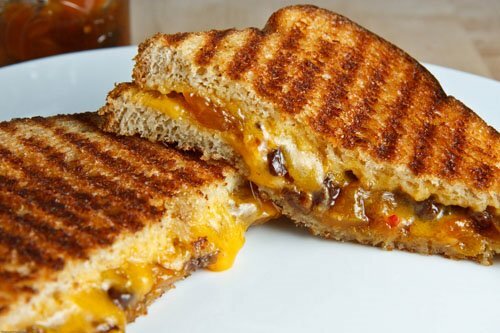 And hey, I like grilled cheese. Yum. I mean, really. YUM. I arrive at this home, and the mother opens the door. Once pleasantries were exchanged, we wandered into the kitchen where a huge paper bag was sitting on the table. She says to me, “You like to bake, right? [I assume she’s seen me facebook about baking] Well I made this really great almond pie and it was a huge hit. The recipe is on facebook, and here are all the ingredients.” I look inside the bag, and lo and behold: everything I need to make a pie! She included pre-made crusts (2 of them), almonds, sugar, corn syrup, and honey. She also said that before I leave I should take butter out of the fridge too. Wow. Amazing, right? So thoughtful. Now I’m really excited to make this pie except….it’s passover! Crusts are NOT kosher for passover. Before I’ve even put my purse down I’ve started thinking about how to work around this. Sure, there’s corn syrup in the pie, but not all jews avoid corn syrup. And anyway, I can substitute honey or sugar water if I’m baking for a jew-crowd. But this crust thing was a problem. 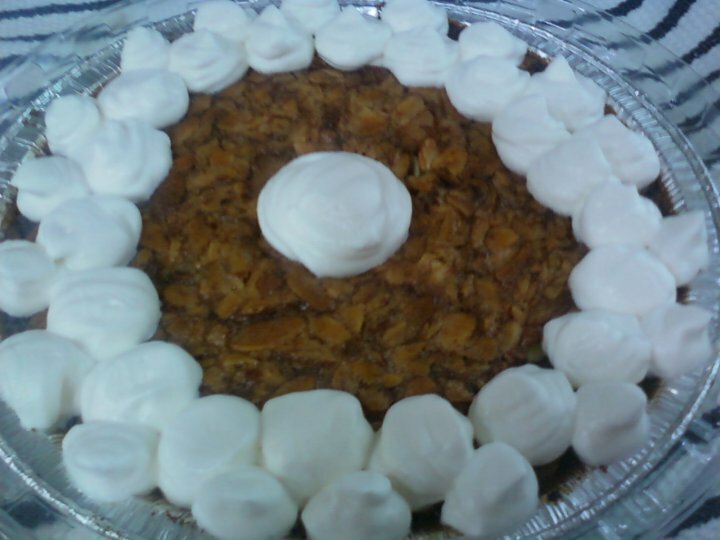 Well, I figured the crust out, and my sister had a baby shower to which I could bring the pie. I had all the ingredients! The trifecta of baking is complete! 1. Have somewhere to bring the completed product. It’s no good making a beautiful cake if no one is going to eat it. Have some event to bring it to. Not that I’m not guilty of aimless baking from time to time…but this is why I LOVE holidays! 2. Have a plan (or have your recipe). Know what you’re going to make. This is especially true if you’re going to be making something up, or altering something to the extreme. For example, when I made my girl scout cookie cupcakes, I had it all written out. What frostings, what cakes, how many. Everything. I knew exactly what I was going to be changing before I stepped into the kitchen. 3. Have all the ingredients. If you’ve ever been in the middle of a complicated recipe and realized you were an egg short, you know. Never get caught with a missing ingredient once you’ve started. The only exception is if you’ve accounted for this in the planning stage, and you know that something is going to have to rest and you’ll have time to run to the store. 1. Preheat oven to 350. Run matzah through a food processor with brandy. Let sit for 5 minutes. 2. Add cocoa and sugar, and mix using food processor. Matzah should be pretty fine, at this point. More coarse than matzah meal, but fine enough to press into a crust. Add softened butter and process until the texture is consistent throughout. 3. Grease an 8″ or 9″ pan, and work the mixture into a crust. it might crumble a little–that’s okay as long as you work it until it holds together. If it really refuses to hold together, add some more butter, just beware adding too much butter prematurely. *For passover, 1/2 cup corn syrup can be substituted with 1/2 cup honey or you can heat 1/2 cup water and dissolve 2 tbsp sugar into it. Either way. Just remember that you also have 1/4 cup honey in the recipe, so if you go the honey route it’s a total of 3/4 cup honey. 1. Leave oven at 350 degrees. Mix eggs in large bowl with whisk. 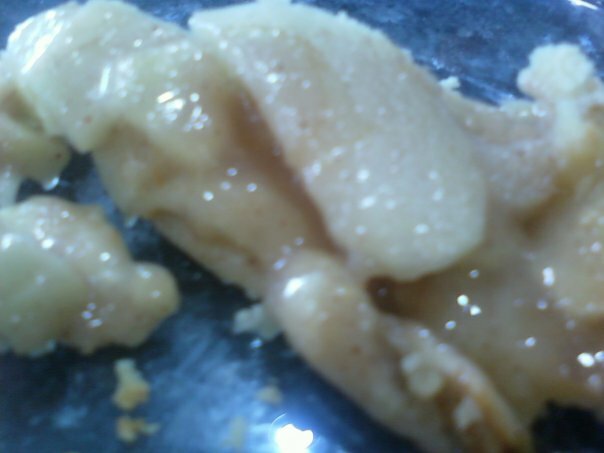 Stir in sugar, corn syrup (or substitute), melted butter, honey, and almond extract. Mix well with whisk. Stir in almonds last. 2. Pour mixture into crust. Bake 45 minutes. 3. Optional. Decorate with whipped cream! Note that during the rest of the year, a pre-made crust will work just fine. I don’t usually use pre-made crusts unless I’m in a rush, but soon I’ll post cookie crust directions! You can make your own graham cracker crusts and it’s really easy. Just a quick update on pie-making. I made another apple pie today. The person who sent me the “mama burndt’s recipe” and I had made a deal previously: he gave me the recipe and in exchange I’d make it for him next time he was in town. Which was tonight. I used the same recipe as last time, and this time I measured the spices used (more or less.) Final tally: 1 tsp cinnamon, 1/2 tsp nutmeg, and a shake of all-spice. The flavor was good, but it was pointed out to me that it could have used more apple. This is a valid point, though I think it might a matter of personal preference. I like more crust in my pie-to-crust ratio, but perhaps the more crowd-pleasing pie would be higher in filling. It should also be noted that this time the apples happened to be not-so-juicy, so I added about 1/4 cup of naked apple juice and this worked fine. I’ve always been intimidated by pie. Not by eating pie–that’s easy. Rather, the prospect of making pie has always made me feel small and insignificant. Not pizza pie. I’ve been making pizza pie for years. I’m talking about Pushing Daisies, Waitress, 50’s diner pie. Now that you know my inspirations, get ready to hear about my process. First I do research. My love for food network (the yeast puppets are my favorite) gives me a good idea where to start. 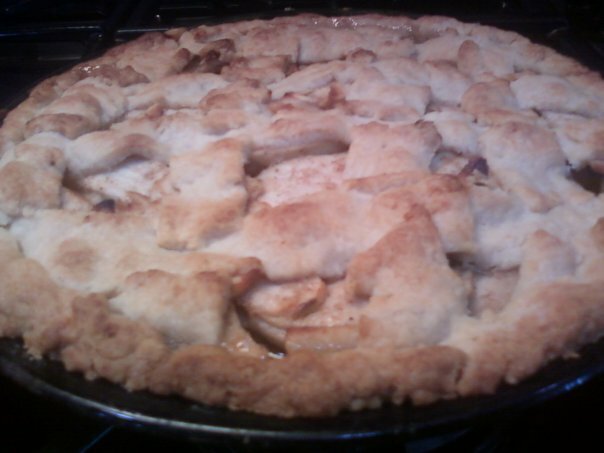 I found this great website on pie crusts, and had a few friends send me their recipes for apple pie. I youtubed to see what Alton says (I almost never make anything without consulting Alton.) The last credit must go to a lady named Mama Burndt. I do not know this woman personally, nor do I know Baby Burndt, but her recipe ended in my hands (and inbox) and she is just as responsible for this pie as I am. 1. Sift flour, sugar, and salt together in a large bowl. You’re going to be banging at the bowl with a knife, so be sure it’s one you don’t mind scuffing up. 2. Chop butter into small pieces. The smaller you cut now, the easier step 3 will be. 3. Add butter and Crisco into flour mixture and, using a knife or pastry cutter, cut the butter and Crisco. Stop when the biggest pieces are pea-sized. This is good. We want little clumps of butter. 4. Pour in ice water slowly while stirring with a fork. Stop when all of the flour is moist, but not wet or sticky. You may not need all the water, or you may need extra. If you accidentally use too much water, never fear. Just add a little more flour. 5. Using your hands, roll the dough into a ball (be careful not to over-handle it), and refrigerate it until it is chilled. This is a perfect time to start the filling. Cinnamon, nutmeg, allspice, and/or clove. As much or little as you fancy, though be wary: more than 2 tsp of total spices might kill the flavor of the apple. 6. Slice the apples into thin pieces on a cutting board. Transfer apples to a bowl. Try to keep as much of the juice as possible. 7. Add sugar and spices. Use your hands to toss the apples until they are evenly coated. Let this sit while we get back to the crust. 8. Remove the dough from the refrigerator, separate it into two pieces, and roll both out. Rolling pins work if you sprinkle flour over everything, but I hate flour. It’s messy. I prefer to lay the ball out onto wax paper, and just smoosh it flat with my hands. Once it’s as thin as I’d like, I use the rolling pin for just a second to even it out. 9. Place a 10″ circle of dough onto an 8″ pan, and put the rest of the dough back in the fridge. 10. Fill the pie with apple mixture, while evenly placing dots of butter throughout the filling. 11. There will be extra apple slices. Squeeze these over the pie, letting all the juicy goodness drip into the pie. The more the better. 12. Cover the pie with the rest of the crust, in whatever configuration you’d like. Cover the edges with foil to keep them from browning too much. Bake 50 minutes. Tada! Enjoy.